Sacramento voters are once again faced with tax increases on the November ballot because Mayor Darrell Steinberg and most of the members of City Council can’t or won’t be honest about their gross spending and particular taste for other people’s money. So here we are again, solving Sacramento’s latest budget/spending crisis with hefty tax increases – a skill Steinberg honed while in the State Legislature. Sacramento city revenues are more than $120 million up from 2010, and up 16 percent in just the past two years. This is not counting the $50 million Measure U brings in every year. Measure U was a half-cent sales tax sold to voters as necessary to restore the city services cut during the recession. Okay, we’re good. But we’re not. Measure U is a slush fund for greedy politicians; more is never enough. Voters are faced with yet another Measure U on the ballot, and this one doubles the half-cent sales tax and makes it permanent, raising Sacramento’s sales tax to 8.75 percent. California is already ranked the number 1 top sales tax state in the country with the highest state-level sales tax at 7.25 percent, and a combined rate of 8.54 percent, according to the Tax Foundation. And Sacramento is knocking on the door of even higher sales taxes. Yet, high tax rates cause lower real tax revenue collection, and serve to punish lower income families far more. In 2012 when Jerry Brown was getting his statewide Proposition 30 sales and income tax increase on the top 1 percent wealthiest Californians, Sacramento city voters also passed Measure U, a “temporary tax” to allow the City to enact a half-cent sales tax for six years with all revenue going to the City’s General Fund. Most city residents already noticed the loss of city services along with skyrocketing city utility/services bills, in addition to increasing taxes. There’s no such thing as a temporary tax – this lie is used by politicians to get their tax increases passed by gullible voters. Measure U is set to expire in March 2019. So what does Mayor Darrell Steinberg and the City Council do? They put Measure U back on the ballot for November, to double the size of the tax and make it permanent, saying “inclusive economic growth” makes it necessary. “I’m confident when people see what we can do with a full penny, they will respond favorably,” Steinbergsaid. If you aren’t familiar with “inclusive economic growth,” you may want to pour a stiff whiskey when you read,”Inclusive growth is economic growth that is distributed fairly across society and creates opportunities for all,”according to many “Sustainable growth” organizations. It’s largely used in third-world countries, so I’m curious why Sacramento Mayor Darrell Steinberg chose this feel-good wording… unless perhaps he agrees that Sacramento is turning into a third world city. The biggest problem with the old Measure U and the new Measure U is that it is a general tax, which goes directly into the General Fund, without any specific earmarks, as the Mayor would have voters believe. It doesn’t go to pay down the Calpers obligation for unfunded city pensions, nor is it specifically designated to repair and maintain city parks, or to address the exploding homeless population. Measure U is another blank check for the Mayor and City Council in their quest to turn Sacramento into a “World Class City.” They think they need the money to attract more professional sports teams, build more five star hotels and $4 million condos. With taxes maxed out on the rich, the Mayor and City Council are now targeting the poor and middle class to keep funding the city government employee pension black hole. There’s no talk among council members of spending cutbacks or real reforms. Last month, Mayor Steinberg showed his true colors when he forced a collective bargaining agreement with trade unions, without any input from the public. He even shut down two council members who questioned the cost and accountability to taxpayers. Under the agreement, any public construction job in the city costing more than $1 must use union labor. This is another gift to his union thug friends. No one at the city knows what this will cost taxpayers, and Steinberg doesn’t care. 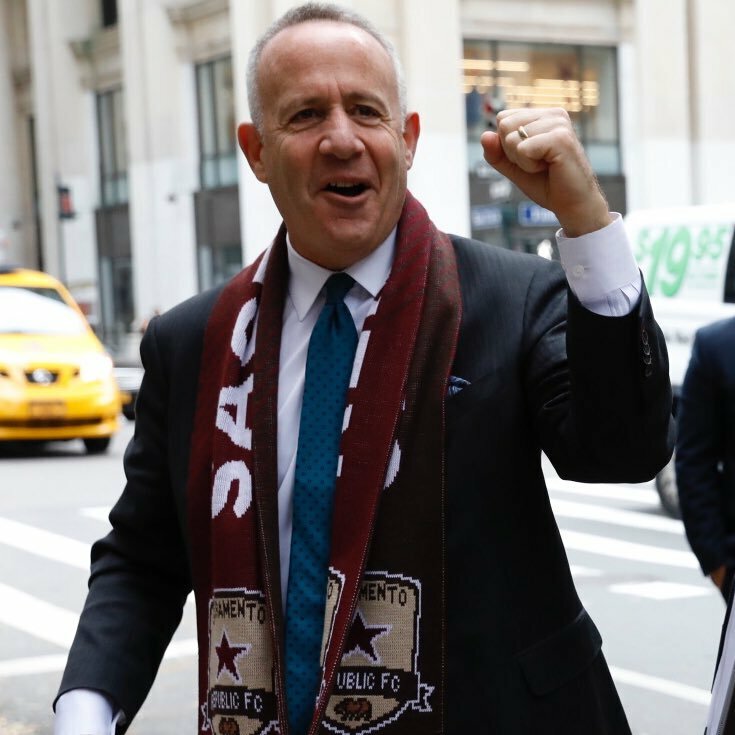 Mayor Darrell Steinberg doesn’t deserve more of taxpayers’ hard-earned money. He’s incapable of fiscal prudence, is tied at the hip to labor unions, and feels nothing about taxing middle-class and low income families more to feed his greed. Vote NO on Measure U this November. Katy Grimes is the President of the Sacramento Taxpayers Association. This entry was posted on Tuesday, October 2nd, 2018 at 1:03 am and is filed under Blog Posts.